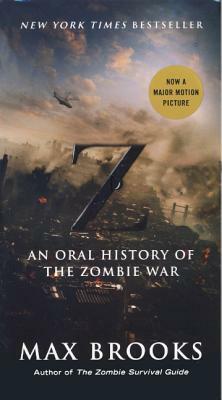 Max Brooks chronicles the zombie outbreak from start to finish in a story that is horrifyingly believable. Written as a compilation of eyewitness accounts throughout the epidemic, this story is told in an intelligent and disturbing fashion. This is not your typical zombie novel, and will keep you racing through the pages as mankind struggles against complete annihilation. Max Brooks's previous book, "The Zombie Survival Guide," formed the core of the world's civilian survival manuals during the Zombie War. Mr. Brooks subsequently spent years traveling to every part of the globe in order to conduct the face-to-face interviews that have been incorporated into this present publication.